91 Commercial Real Estate & Properties in West End are listed in 8 categories. We have 49 OfficesSale & Lease , 17 Medical and Consulting PropertiesSale & Lease , 11 Industrial Warehouses Sale & Lease , 8 Retail ShopsSale & Lease , 4 ShowroomsSale & Lease and 2 Hotels and LeisureSale & Lease . Abundance Of Natural Light | Bike Racks & Showers | Cafes And Shops Nearby $503pw | 5 Person Workspa..
PROPERTY OVERVIEW $503pw Price incl. 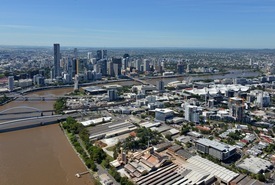 Newly created shared office space in the bustling West End of Brisbane. Housed in a charismatic heritage listed cottage, this shared workspace offers a beautiful alternative to coworking and serviced offices – something more intimate, peaceful and inviting with the same standard of professional facilities. The private offices, coworking spaces and meeting rooms are styled to complement the cottage’s old world charm with a blend of character fittings and modern furniture, all swimming in abundant natural light. You’ll enjoy round the clock access to your office space and amenities including high speed internet, a kitchen, printing station, lockable storage and regular cleaning – with no additional costs for these features, tenants can produce great work without worrying about budget. Ideally suited to small teams, startups, freelancers, entrepreneurs and consultants, this inspiring West End coworking space is crafted to help people create, innovate, deliver for clients and grow their business in a welcoming and relaxed group environment. Flexi terms starting from 1 month available immediately – enquire for more info or book a tour to go and take a look! This charming cottage is the newest coworking space in Brisbane’s West End and it offers a fitting workplace for Brisbanites who love this area’s offbeat appeal! The boutique single level building is situated just off the busy Boundary Street to provide ultimate convenience and lifestyle – great little cafes and restaurants can be found at every corner and the popular pubs and bars attract patrons at all hours of day and night. Take a wander and your first sights will be the Boundary Street Markets, Grill’d West End, Cobbler Bar and Hotel West End while bus stops, South Brisbane Station and South Bank Station are within easy reach. A fantastic boutique coworking space with the quirks, character and convenience to set your business apart. The advertised office space is perfect for a team of 5. If you need more or less space, we have over 30,000 furnished workspaces all over the world suitable for a team of 1 to 200+. Our award winning team offer a free service that will help you find the perfect solution for your needs, so reach out if you need more help. What you get for your weekly rent , 24/7 Access , Access to internal breakout areas , Access to kitchen facilities , Access to secure printer and scanner , Building outgoings included , Electricity usage included , Flexible terms , Lockable storage unit , One simple bill for everything related to your workspace , Regular cleaning , Secure high speed Internet Building features , Abundance of natural light , Air conditioning , Car parking in building (Paid) , End of trip facilities e.g showers, bike racks , Onsite Cafe / Restaurant , Print, scan and copy facilities , Taxi / Uber stand close to building 200m to the bustling heart of the West End 1.3km to Gallery of Modern Art 1.1km to South Brisbane Train Station, 1.5km to South Bank Train Station 450m to Coles West End Who is Office Hub? Office Hub is the world\'s No.1 marketplace for office space. We have a huge global selection of coworking spaces, serviced offices and shared office spaces with flexible options to suit teams from 1 200 people. We\'ll take you on a tour of all the workspaces that fit your needs and work on your behalf to get the best price possible. We\'ll help you discover how shared office space can be the most beneficial and budget friendly solution for your business. www.office hub.com Conditions apply – the advertised price includes any incentives offered based on a 12 month agreement and is available to new tenants only. Please note that the rental rate may increase for a shorter rental period. A portion of the square meterage factors in access to shared space. Situated in a well presented complex off Montague Road is this 130 m2 creative office space. It would suit a variety of users. 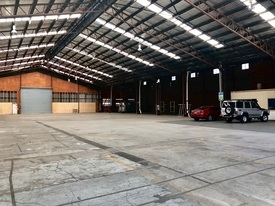 Features: 130 m2 1st level high end office space 2 exclusive use car parking bays Polished wooden and concrete floors Fully ducted air conditioning and security system High ceilings For more information or to book an inspection contact Tom Chan on 0478 586 131 of Blocksidge Real Estate. 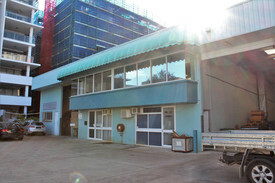 This 400m2 office space is located on the first floor of a well presented complex, just off Montague Road. The tenancy consists of a combination of open plan and partitioned offices, reception area and board rooms. Features: 400 m2 first floor office 4 exclusive use car parking bays included High ceilings Combination of polished concrete floors and carpet Fully ducted air conditioning throughout Security system Separate male and female amenities Very good rental rates on offer For more information or to book an inspection contact Tom Chan on 0478 586 131 of Blocksidge Real Estate. 168sqm (Internal) + 230sqm (External) = Total 398sqm (approx) $95,000 pa + Outgoings Allows for the luxury for an operator to build on the current business (Mediterraneo Ristorante) or have ample time to rebrand the premises while enjoying a cashflow. The property is situated in the Light + Co mixed use project consisting of high street retail traders on the Montague Rd frontage. 239 completed and fully occupied apartments are directly above the retail component with a further 300 (approx.) apartments planned for Stage 2. Two areas service a large display counter and coffee bar for take away and casual dining as well as seating in internal, footpath and a magnificent open terrace area for more formal dining. A fully operational bar is also included. Please contact Geoff for more information or to arrange an inspection. Open plan office space Large boardroom Lunch room with kitchenette Air conditioned Ample natural light throughout the office Exclusive car parking bays Amenities nearby Location: 5 Wolfe Street is superbly located approximately 2.3km from the Brisbane CBD and enjoys easy access to local Cafes and Restaurants. For further information, or to book an inspection, please contact the marketing agents at Ray White Commercial (QLD). Well presented showroom Roller door access Kitchenette and amenities Three exclusive car parking bays Excellent natural lighting Could also be used as an office space Reception area 49 Vulture St, West End is superbly located on the corner of Vulture and Exeter Street. Multiple bars, retail outlets and cafes are all within walking distance from the property. For further information, or to book an inspection, please contact the marketing agents at Ray White Commercial (QLD). • 119m2 may be split • 2 car parks included in rent • Ample natural light throughout • Open plan layout with board room/meeting room • Balcony overlooking Boundary Street • Iconic building in central West End location with a variety of businesses Offering an unrivalled position in the heart of West End the property comprises of 119m2 of office space with separate board/meeting room, kitchenette and covered balcony suitable for staff breakout. 156 Boundary Streets fantastic central location, onsite car parking and proximity to amenities creates an ideal working environment. Ideally the property is suited for Creative / IT / Media / Fashion / Community Groups / Professionals. With a slew of major developments underway, completed and the new West Village under construction, West End is one of Brisbane's most aspirational places to live, relax, shop, eat and work. Please call Nina Brailey to schedule your inspection as this competitively priced property will not last long! • 155m2 • 3 car parks included in rent • Ample natural light throughout • Open plan layout with board room/meeting room • Balcony overlooking Vulture and Boundary Street • Iconic building in central West End location with a variety of businesses Offering an unrivalled position in the heart of West End the property comprises of 155m2 of light filled office space with seperate board/meeting room, kitchenette and large covered balcony suitable for staff breakout. 156 Boundary Streets fantastic central location, onsite car parking and proximity to amenities creates an ideal working environment. Ideally the property is suited for Creative / IT / Media / Fashion / Community Groups / Professionals. With a slew of major developments underway, completed and the new West Village under construction, West End is one of Brisbane's most aspirational places to live, relax, shop, eat and work. Please call Nina Brailey to schedule your inspection as this competitively priced property will not last long! Boundary Street Office - Priced To Lease And Ready To Occupy $25,300 Gross p.a. excl. ..
Boundary Street Office - Priced To Lease And Ready To Occupy $19,380 p.a. Gross excl. ..
Well priced first floor office suite situated within the hub of West End. Features of the property: 68m2 of open plan tenancy. Plenty of natural light. Kitchenette/Sink. Ducted Air conditioning. Car park included in the rent. Plenty of customer car parking on site. Fast fibre cabled internet. Incentives for the right tenant. For more information or to book an inspection please contact your Blocksidge Agents. 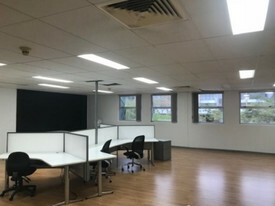 133sqm (approx) of funky office space $320sqm + Outgoings Male and Female toilets & shower (shared), kitchen & meeting area Two (2) car parking spaces available at $3,000 pa each Open plan, Industrial feel with plenty of natural light 24 hour access for tenants Fantastic signage opportunities in foyer, on building and on entrance sign Increased traffic and exposure expected with new schooling development underway across the road Walking distance to local amenities, South Brisbane Rail and various Bus routes Easy access to Go Between Bridge, South East Freeway, ICB & Riverside Expressway Please contact Geoff for more information or to arrange an inspection. 133sqm (approx) of funky office space $320sqm + outgoings Ground floor, open plan, industrial feel, plenty of natural light Fibre optic cabling Shared male / female toilets and shower Kitchen & meeting area 2 car parking spaces available for $3,000pa each 2 level refurbished commercial, landmark building, 1940's theme Rendered exposed brickwork, timber beams, roof trusses, galvanised ducted air conditioning, high ceiling, polished concrete floors 24 hour access for tenants Fantastic signage opportunities in foyer and on entrance sign Increased traffic and exposure expected with new schooling development underway across the road Walking distance to local amenities, 200m from South Brisbane rail and bus routes Access routes Go Between Bridge, South East Freeway Inner City Bypass & Riverside Expressway Please call Your Commercial to arrange an inspection. 114m2 2 car parks included in rent Retail amenities at your doorstep Offers an open plan and offices Self contained with shower Rear access from the car park Suitable for a wide range of users Sufficient customer car parking Recently re furbished Approximately This property is located in the thriving suburb of West End, Brisbane. The tenancy is situated amongst buzzing retail shops and restaurants and can be used for a range of tenants such as office and medical. If you have any question or would like to inspect, please contact the exclusive agents at McGees Property, Nina Brailey 0415 387 727 or Jose Rojas 0431 245 598. 78 sqm of office space Kitchenette / shared amenities Air conditioned 1 car park included in rent Competitively priced West End is excellently located less than 3km from the CBD, with plenty of local restaurant and amenities with an abundance of public transport. For more information or to arrange an inspection call Ray White Commercial Milton today. 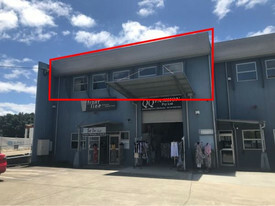 258sqm of prime showroom/warehouse 120sqm of showroom 140sqm of warehouse New Kitchenette Male/Female Toilet Showroom is located on busy Montague Road great opportunity for signage to advertise your business. Showroom/warehouse will be have new fit out done. For more information or to arrange an inspection call Ray White Commercial Milton today. Located on Hardgrave Road in the Rialto theatre complex. This first floor tenancy enjoys a corner position, further features include: 76m2 open plan area. Fully air conditioned City views with great natural light kitchenette Landmark West End site. Great foot traffic. The Rialto is located right in the heart of the Hardgrave Road dining precinct, which has become know for its diverse food offerings. The building is located in proximity to the retail precinct on Boundary Street. For more information or to arrange an inspection call Ray White Commercial Milton Today. Rarely is such a large space available on such flexible terms in West End. Need storage for your construction business? Start up that needs 12 months to test your business idea? Project space to seize an opportunity? This space is for your business. Access ramp 3 Phase Power High bay electric roller door Well presented exterior Available now For further information or to arrange an inspection contact RW Commercial Brisbane North now! Agent conjunctions welcome. High Profile Location On Ingham Rd $95,000 NET + GST PA - A.. Fringe Cbd Office Or Retail Tenancy - Last Remaining Tenancy! Rent Reduced to $28,755 G..